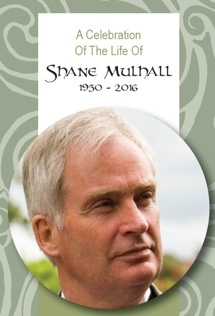 The School in Ireland recently held its celebration of the life of Shane Mulhall (b 1950 d 2016). Shane was the leader of the School of Practical Philosophy in Ireland for 35 years. It was announced at that event that the School in Ireland would make Shane Mulhall’s very popular talks, given over so many years, available for free to any students of the school worldwide who wished to avail of them.